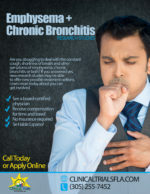 Do you know someone that struggles with the symptoms of Emphysema? When they’re constantly coughing, wheezing, and experiencing shortness of breath, do you ever wish you could do something to help them out? 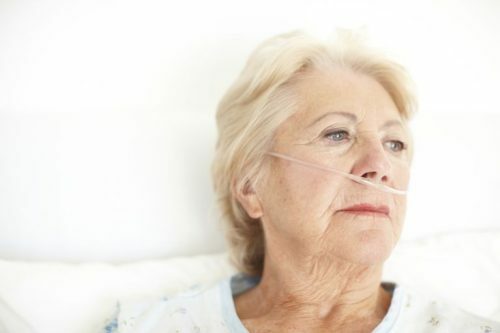 The symptoms of emphysema are slowly progressive and if not treated correctly could lead to further complications like loss of appetite, dramatic weight loss, poor sleep quality, and even depression. So how do you care for someone with progressive emphysema? Well, the answer isn’t always as cut and dry as we may like it to be. Your involvement in their treatment plan may vary depending on the severity of their emphysema. If the emphysema is caught early enough, the sufferer may require little or no assistance. However, for those that do not begin treatment until later and more severe stages of the disease, the dependence on a caregiver may be drastic. Emphysema can make even the simplest of tasks challenging, requiring a caregiver to help with tasks such as getting dressed and helping with personal hygiene. As a caregiver of someone with Emphysema, you may also be responsible for making sure your loved one follows the prescribed treatment plan. This could mean helping them take their daily medications, participate in the necessary physical exercises, and if required, ensure they receive the necessary oxygen supplements throughout the day. The knowledgeable staff at Clinical Trials of Florida (CTFL) are happy to provide more information on how to properly care for your loved one struggling with emphysema. You can contact them at 305-255-7452. One option to consider is to join a clinical research study. Qualified study participants may receive free care and the opportunity to help test new treatments for emphysema. Compensation is typically available for those who qualify to help cover time and travel costs. There is no cost to participate and NO INSURANCE IS REQUIRED. LEARN MORE ABOUT A RESEARCH OPPORTUNITY IN YOUR AREA BY CLICKING HERE!